This full-color atlas is a step-by-step, visual guide to the most common procedures in emergency medicine. Procedures are described on a single page, or two-page spreads, so that the physician can quickly access and review the procedure at hand. 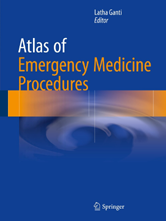 The atlas contains diagnostic algorithms, schematic diagrams and photographic illustrations to highlight the breadth and depth of emergency medicine.